The Spirit of St. Louis was a train born primarily out of marketing as it replaced two former trains of the Pennsylvania Railroad and looked to capitalize on the recent success of Charles Lindbergh by naming a train in honor of his airplane that traveled across the Atlantic Ocean between New York and Paris. When the Spirit entered service in the late 1920s it featured heavyweight equipment and steam locomotives for power although later was an all streamlined affair as one of the PRR's flagship runs between the Atlantic Coast and Midwest. The train remained on the railroad's roster through the merger with the New York Central although by that point it was much more watered down version of its peak years during the early 1950s. Under Amtrak management the train survived for only a few months until it was discontinued as the carried looked to consolidated services and save money. The Spirit was certainly not the first Pennsy passenger train to serve New York and St. Louis. The train replaced the railroad's earlier runs between the two cities named the New Yorker and St. Louisan (the eastbound version of this train remained as a secondary run to St. Louis for many years), renaming them as the Spirit on June 15, 1927. The public had been awed by Lindbergh's accomplishment and the PRR spent a great deal of effort to market the event and its new train. As it turns out the idea to have the pilot's mother christen the new train (since Lindbergh himself was far too busy with publicity requests at the time) proved far more successful than perhaps even the PRR could have hoped resulting in thousands attending the event and forcing New York City planners to use hundreds of police offers to keep order. While the Spirit was initially used all heavyweight cars and Class K 4-6-2 Pacific type steam locomotives for power it did not remain this way for long. When it came to streamliners the Pennsylvania Railroad was somewhat conservative to the new fad in passenger trail travel. However, unwilling to let its fierce rival New York Central gain the upper hand the Pennsy spent quite a bit of resources upgrading its most popular long distance runs like the Broadway Limited, which entered service as a streamliner the same day as the 20th Century Limited on June 15, 1938. The Broadway featured equipment from Pullman-Standard, which in total included 52 cars the railroad had ordered to also partially upgrade other trains to streamliner status including the Spirit of St. Louis, General, and Liberty Limited. These trains were noted for their interior and exterior beauty thanks to noted industrial designer Raymond Loewy who was employed by the Pennsy to work on many various projects. In general the trains featured a classic Tuscon red livery with gold pinstripes and an interior that was a decorated and yellows and blues. Just as the NYC called its new streamliners the Great Steel Fleet, the PRR marketed its three trains mentioned above as its new Fleet of Modernism. 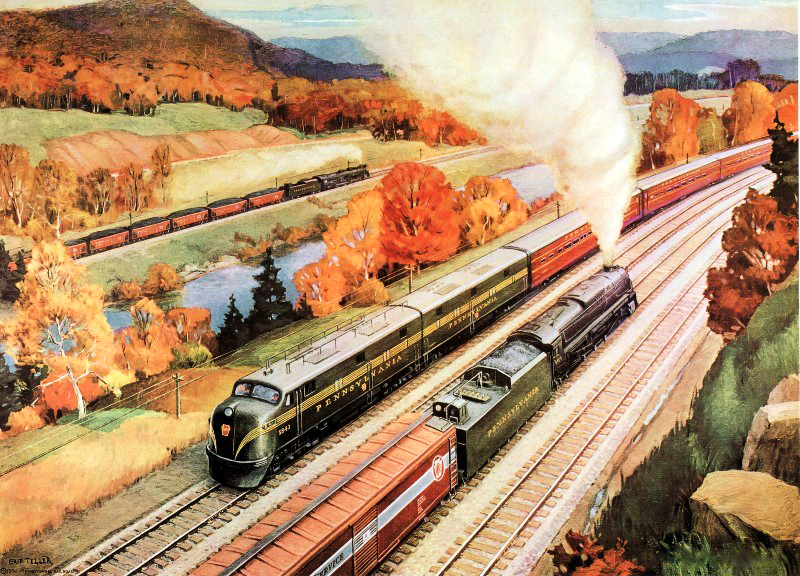 And the name was certainly not only a way to denote the trains as the railroad spent a significant amount of money marketing the term by producing numerous brochures and booklets letting the public know about all of the features its streamliners offered. From the summer of 1938 through the spring of 1941 the PRR continued to upgrade its long distance passenger fleet with rebuilt heavyweight equipment until its initial four trains that were part of the Fleet of Modernism were completely equipped to full streamliner status (the railroad would continue to add more, particularly after the war). After World War II the Pennsy continued to upgrade its fleet although this time it purchased brand new equipment from Pullman-Standard. From an exterior standpoint these new cars featured the classic Tuscon red livery, gold pinstriping, and black roofs. The late 1940s also saw the PRR switch from steam to diesel power outside of its electrified lines east of Harrisburg, Pennsylvania. Models the railroad purchased for its passenger trains included Alco's PAs, Baldwin's DR-6-4-2000s, and EMD E7s (and later E8s). This era of the late 1940s and early 1950s was the pinnacle of the railroad's passenger fleet with matching locomotives and equipment. For instance, the Tuscon red and whisker pinstripes on locomotives like the Alco's PA leading a completely matching long distance train was quite a sight to behold. 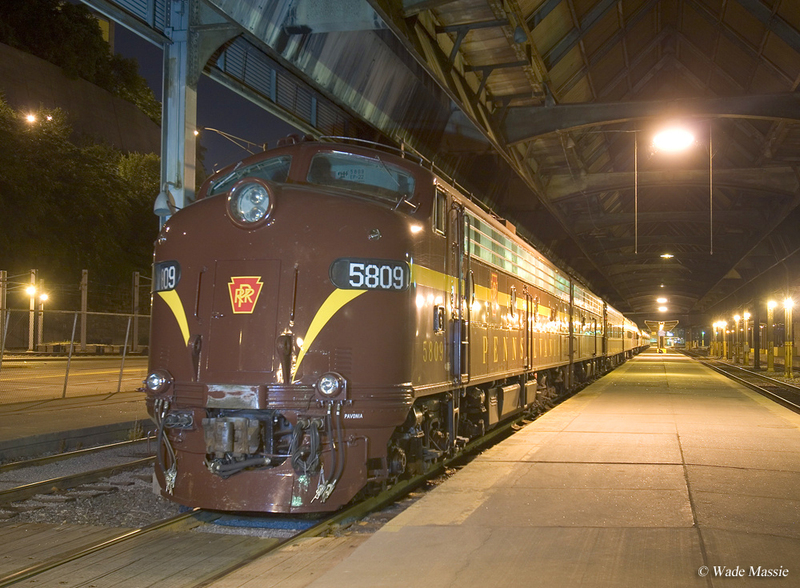 In 1953 the Spirit achieved all-Pullman status when it picked up the equipment of the discontinued Jeffersonian was discontinued in the spring of that year, a later train that the PRR had inaugurated between New York and St. Louis. 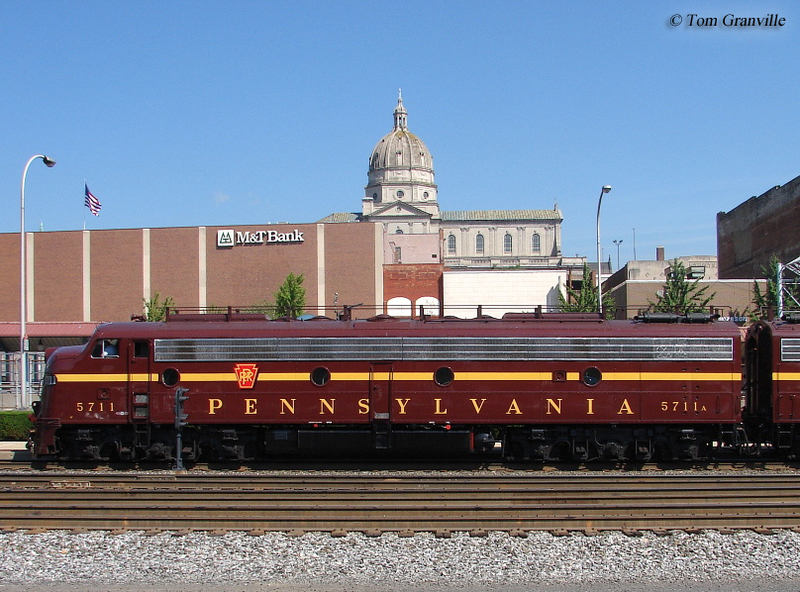 Throughout the 1950s and 1960s consolidations and cancellations occurred all across the Pennsyvlania's passenger fleet as patronage rapidly declined. The Spirit survived through the Penn Central era, albeit as a shadow of its former self. Initially, Amtrak even retained the train until discontinuing it permanently after a months of operation in July, 1971 (the B&O's former National Limited took its place). Along with the Broadway Limited it was the only Midwestern PRR train retained by Amtrak upon its startup.